Slit the brinjals into half with stems intact. Brush it with oil and heat it on direct, medium flame. Turn it on all sides by holding the stems till the outer skin turns black. When cool peel the skin and gently rub under running water to remove the small black parts. Mash it slightly and keep aside. Soak tamarind in hot water for 2 minutes. In a kadai, heat oil and fry urad dhal, hing and chillies till golden brown. First, grind the tamarind with chillies and salt. Next add half of the urad dhal and grind it for 5 seconds. Now add the mashed brinjal and give it just one whip. Transfer it to a bowl and mix in the other half of urad dhal. Excellent with dosas(especially rava dosas), idlis, arisi upma and also goes well with hot rice and little bit of ghee + gingelly oil. Tasty brinjal thogaiyal. Pic looks perfect. 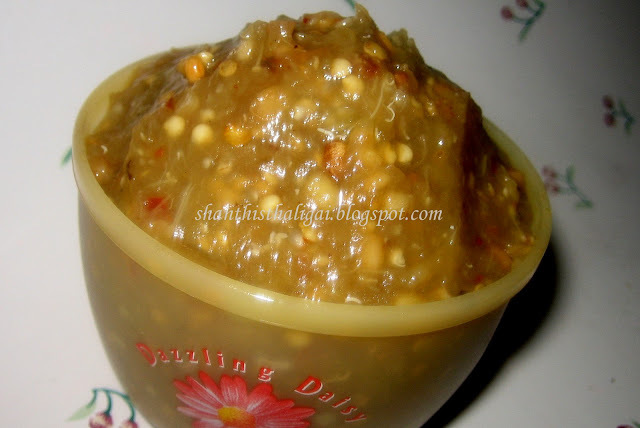 My favourite brinjal thogaiyal,simple and tasty. looks very interesting and diff from what we make..
Looks v inviting, ur Brinjal Thogayal. The preparation reminds me of Baingan Bhartha but the seasoning(tadka) is different. But must taste good though with tamarind..making it more tangy. Will try it sometime. A great side dish to have dozen of dosas akka.. This recipe is new to me...will surely try! Pic looks very inviting! 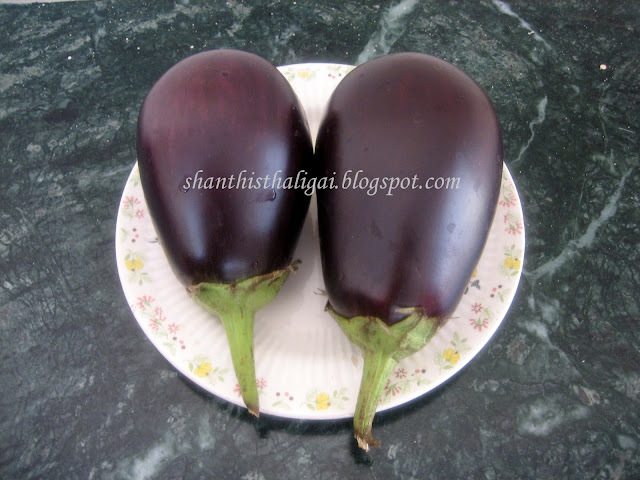 Love Brinjal Thogayal, looks super delicious. Thank you for stopping by my blog and dropping me a mail. Do keep visiting. 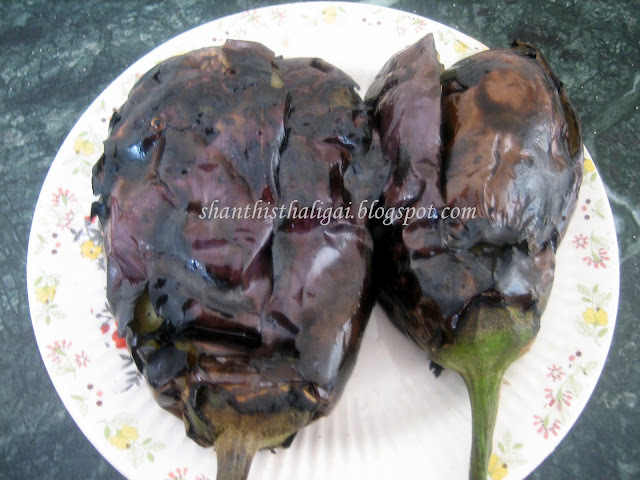 Charred brinjal in thogayal tastes yummiest! So delicious!! For a great brinjal fan like me, this dish sure will please the palates!! nice click..and curry looks absolutely delicious.. Thank you for visiting my blog. You have a wonderful collection of recipes. Thank you for sharing these wonderful delights. :).Happy New Year! Brinjal thuvaiyal looks yum and inviting ! Happy New Year to you and your family, hope you all have a wonderful 2010 !